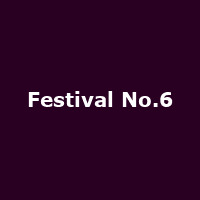 The eccentric, geeky and music-loving amongst you will surely be satisfied with this little number - the number 6, to be exact. Any fan of the '60s psychological thriller and TV series The Prisoner will be aware of the digit, as well as the location of Portmeirion, a certain village situated on the north-west Wales coastline. Imagine a music festival in that very village! Thankfully some very clever organizers have done just that and created a boutique event that will take place in the heart of that same colourful and eccentric setting. For three days in mid-September, Festival No.6 will gather up big artists and DJs from across the globe and present them in this idyllic setting. Rather than just rocking up and chilling out in some miserable and banal field in the middle of nowhere, you can experience something a little more picturesque and historical. If you're not old enough to remember The Prisoner, it doesn't matter - this is mainly about the music (although the rules don't say you can't turn up in dandy clothes). The first confirmed acts are New Order, Primal Scream and Spiritualized, all of whom have been busy selling out huge shows in the past 12 months. This will give fans an opportunity to catch them in an intimate environment for the very first time. Stephen Morris of New Order says, "It's an amazing location for a festival, we can't believe it hasn't been done before. It's going to be absolutely spectacular, so we're all really looking forward to it." There will also be a strong emphasis on dance music with François Kevorkian, Erol Alkan, Mr Scruff, Horse Meat Disco, Derrick Carter, Andrew Weatherall and Don Letts amongst the DJ line-up. And a festival wouldn't be a festival without the trimmings - cinema, street-theatre, parties, lectures, oyster bar, beers, ciders, zorbing (not after the beer and cider though, eh?) and even a spot of clay-pigeon shooting. The festival takes place from 14th to 16th September 2012. If this sounds like the right end of 'quirky' for you, tickets are available through us now, priced at £99 for Early Bird Camping with under-16s priced at £79 and under 10s FREE! Book now - this is a small festival and will sell pretty quickly. Be seeing you!